← Mystery Hole Ansted, W.Va.
Elk Grove Village, Ill., might be a small community, but its members have big love for their hometown and even bigger plans for the future. In the last decade, more than $100 million in infrastructure and facility improvements have been invested in the Elk Grove community in order to ensure that its 33,000 residents have the best quality of life. As a result of those investments, the village has seen an increase in business development activity and a surge of private sector reinvestment in the last few years. 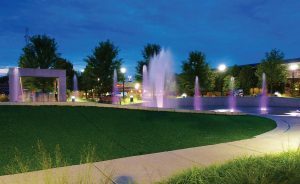 While these developments have happened organically and are encouraging, city officials decided as the village’s 60th anniversary approached, it was time for a major overhaul of some of the community’s most vital capital projects. Elk Grove 2025 — a long-range capital improvement plan, which includes public facility improvements, road improvements, streetscaping, bicycle and pedestrian projects and drainage projects — was born. 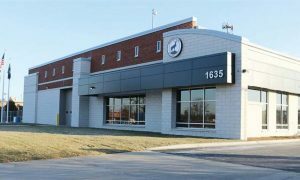 The first project on the facilities list has recently been completed, as the $6.6 million upgrade to the public works facility wrapped up in January. 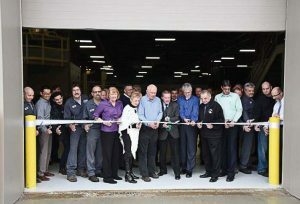 According to The Daily Herald, improvements to the 37-year-old building included a facade overhaul, interior renovations, a new salt barn and more storage space. A small plant nursery is also planned for the site. One of the most useful features of the upgrade, however, is the addition of a second village salt dome to the building. The dome will allow snowplows to be quickly and efficiently refilled when battling inclement weather. Work on a second public works facility is expected to begin in the near future, with an anticipated completion in 2020. Next on the list of facilities upgrades and improvements is an overhaul of the village’s fire station, which hasn’t seen improvements in nearly 40 years. A list of expected improvements, including a new roof, parking lot reconstruction and repairing damaged sewage pipes, are outlined in Elk Grove 2025’s newsletter, and the anticipated completion for the project is listed as 2018. A second fire station will see a fresh facade and minor infrastructure upgrades. The newsletter outlines a number of drainage issues throughout the city, including flooded sidewalks and the need for a new bridge. Both problems are slated to be addressed during Elk Grove 2025’s lifespan. 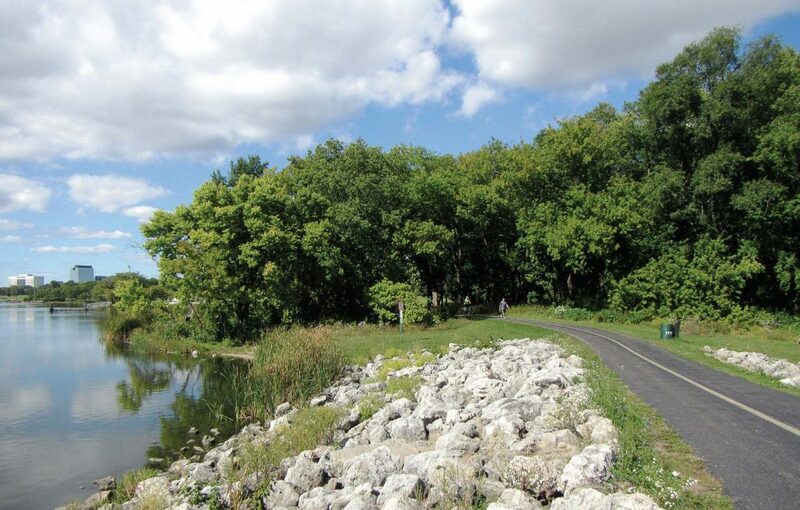 In addition to already-constructed bicycle and pedestrian overpasses, potential bicycle paths connecting the village to surrounding cities are being explored, as well as a number of new access points to walking and jogging trails. Street rehabilitation is a major Elk Grove 2025 priority as the village boasts more than 180 miles of roadway. Nearly 55 miles of that roadway had been resurfaced at the time of Elk Grove 2025’s announcement, but the Village will be rehabbing a number of major roadways in addition to regularly scheduled annual roadway maintenance. 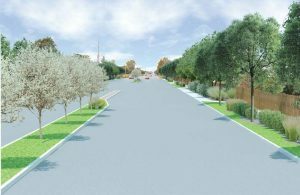 In addition, two major intersection improvements, new streetlights in various locations and a number of streetscape beautification efforts are planned. Six busy corridors within the village are being reviewed to determine ways to streamline and beautify both right-of-way and center medians. While the plans are vast, village residents need not worry about potential financial burden. According to a document in Elk Grove 2025’s newsletter titled Funding Elk Grove, the village’s capital projects fund has an unreserved fund balance of more than $700,000. While that can put a dent in the projects, additional funding is necessary in order to make the capital improvements the village desperately needs. According to village officials, a combination of a one-time transfer of $7 million from the Elk Grove’s general fund, a $60 million capital bond issuance using revenue from the electric utility tax, a 1 percent increase to the village’s telecommunications tax and a one-cent increase to the natural gas use tax and grant funding will cover the project. This translates to only a $20.45 increase in taxes for the average homeowner per year. According to the newsletter, village officials are confident in the Elk Grove 2025 plan and firmly believe reinvesting in the community is the right choice.